My first efforts into embroidery were bad. I really didn't think they were bad until I washed the piece. See, I felt I was doing great because I was stitching over the pattern and the pattern appeared to hide the spaces I was leaving between the stitches. I also thought I was an expert because I was whizzing right along. I didn't understand that the big stitches I was taking allowed me speed but was making my piece look horribly inconsistent and crooked... especially in the curves. 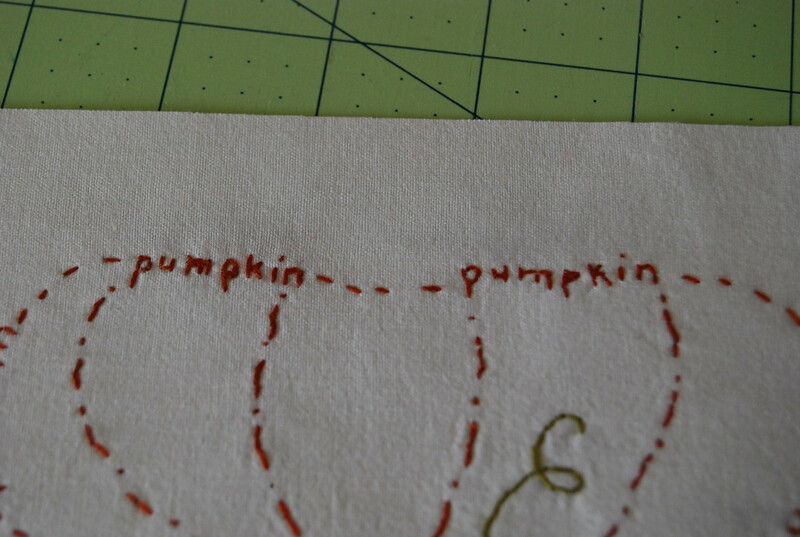 When I finally rinsed out the piece to remove the pattern from under the stitches this is what appeared. You should really click on the image to get a good close up of it. Needless to say I had to redo the piece. This was the new and improved effort. 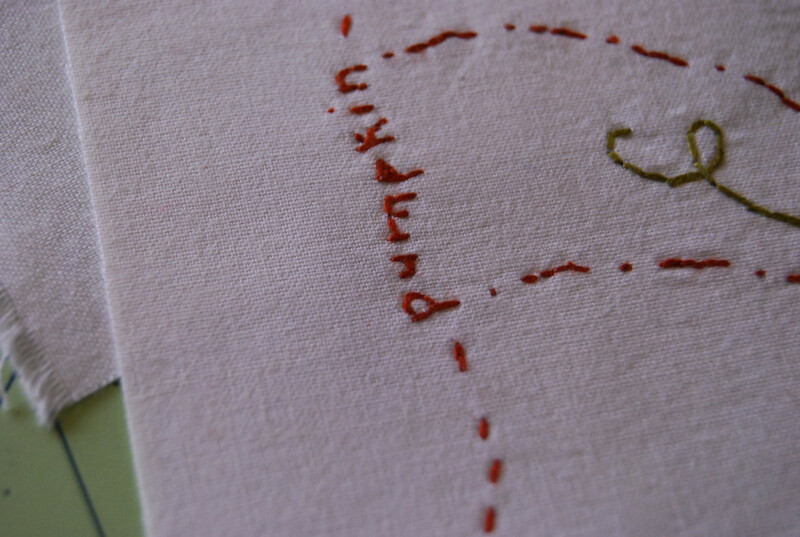 Notice the second P and the M. Also notice the vine.. Can you see the LARGE stitches? 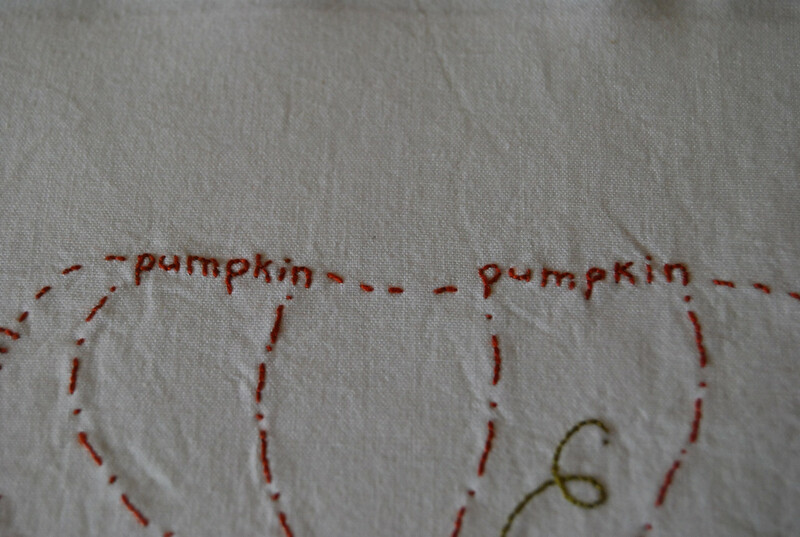 The crooked stitches of the line leading to the first P? The P is more rounded. The lines are more straight. The vine has many more stitches. The M is still missing a stitch, but it is more rounded. Definitely an improvement. 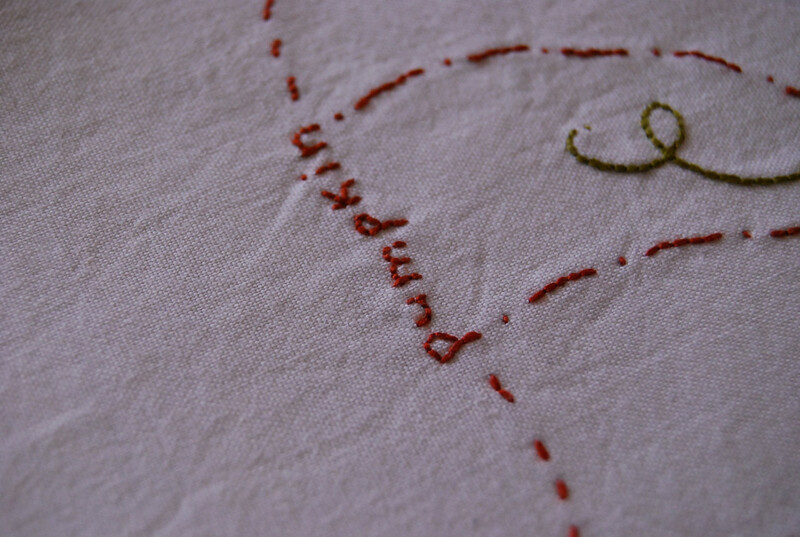 Before I ventured into my second try, I googled embroidery stitches and found Mary Corbet's Needle n Thread site. This lady has a wealth of knowledge and she shares it in a ton of mini videos. I wish I had taken a picture of the back of these pieces because they were as different as night is to day. Anyway, I finally finished an embroidery piece that would not embarrass me and put together my "secret" project. 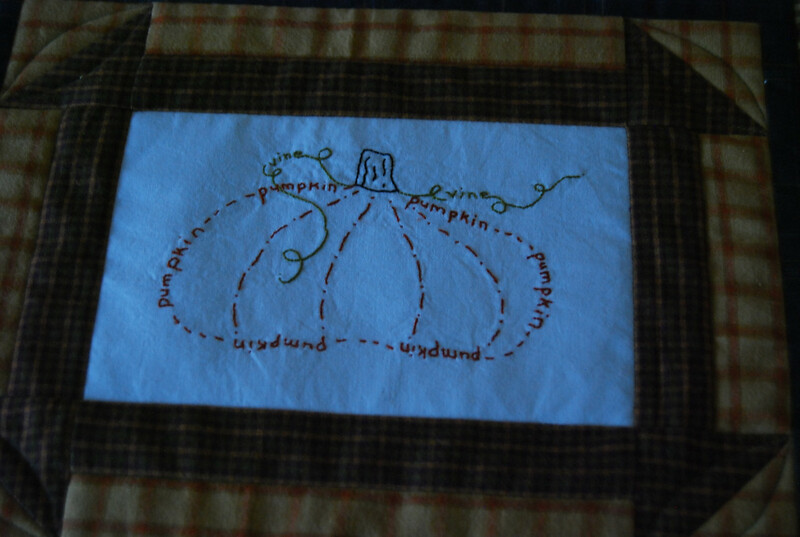 I was incorporating it into a mini quilt. This was heading to my favorite pumpkin lady for her birthday. 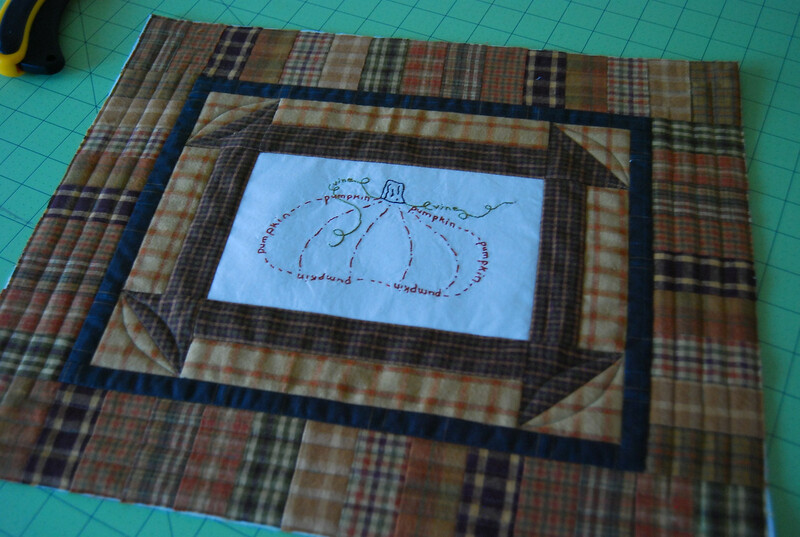 I framed it in a churn dash because it is her favorite pieced block. It was quite a learning experience but one that I will be able to use over and over again. 2 comments on "The results of a concerted effort..."
Your sister will love it! I do!! So simple and prim! Good for you for trying. I have some Christmas stitchery projects that I want to start but am a little intimidated. I will refer to the videos you mentioned.